F-Stop Magazine: Tell us a bit about your background as a Photographer. Sounak Das: The inspiration of assembling pictures comes from my father who was a theatre artist. His plays were always captured which he narrated to me through photographs. I can recall my first play when I was 5 months old by looking at those photographs. The camera was always a part of my family. The urge to perceive knowledge of photography was somehow subconsciously inside me when I dropped out of my engineering degree to pursue photography in 2012. Since, it has been a journey I cherish with the camera. My interest in science and technology introduced me to multimedia. Besides photography I started to experiment with moving images to challenge my versatility. To practice my expertise, I started working at Bengal Foundation Arts Program in 2016. F-Stop: The current issue of F-Stop Magazine features your project “Wire Formation,” can you tell us about this project? SD: The idea of this project was initiated in early 2018 during the semester of “Personal Project.” I was introduced to a question “what would I photograph to archive my reality? ”, which compelled me to this particular series of images. I decided to look into the wires, poles and entanglement and this disorganized structures which seems alike to the human psyche. The city I live in offers me no peace than the night it crawls on. The photographs are a representation of socio-political juxtaposition I grew up with. F-Stop: How did these wire formations come to be? 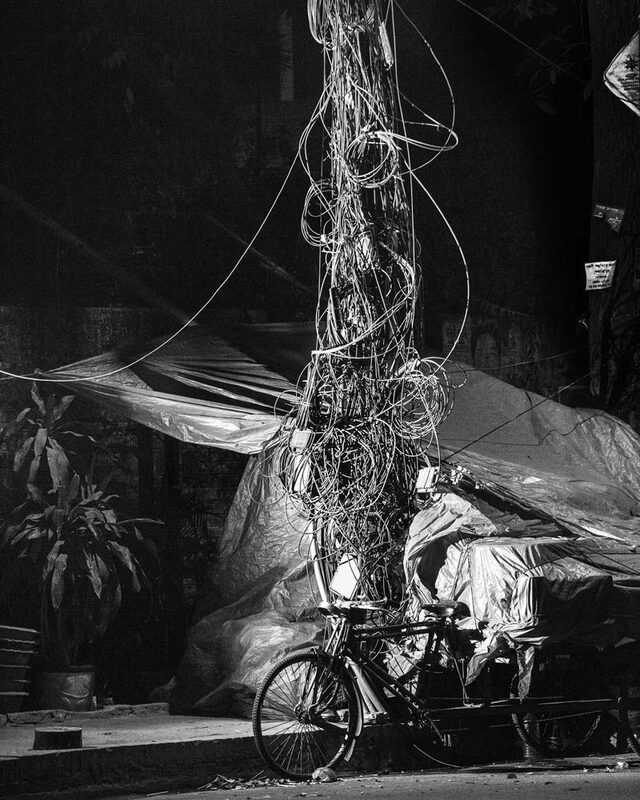 SD: These electrical structures and masses of wires are part of the current metropolitan society; a clear representation of industrial revolution in Dhaka, Bangladesh. I think the design of power distribution was never a headache as the independence was fought for the mother tongue. People moved in to the capital and electricity was distributed coherently. 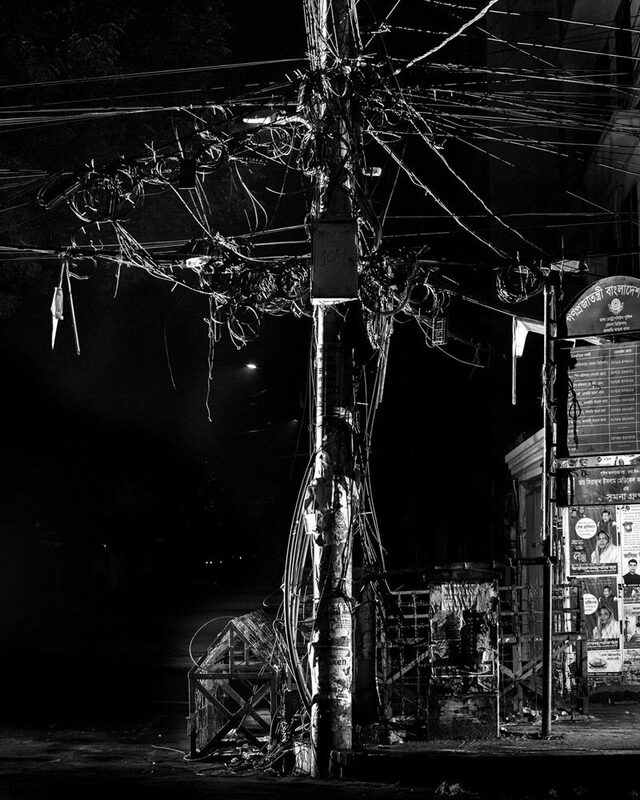 Telephone wires, tv channel cables, internet cables spread across mass population. Over time the structures and wires evolved into these abstraction, unconsciously curated by the city(effect of nature) and the people. Each area maintain a certain standard of living. The electricians and engineers also play a significant role. They continuously install and design wires after wires with consumer demand. SD: I enjoy silence and the silence calls me out every night. Usually I carry 3 light sources and a 70-200mm lens. Adjusting from 150-200mm focal length I attain my perspective with different distances. I meander and observe my reality, straight and direct confronting the surreal abstraction. I intend to ignore the exformation of visuals and focus on the minimal representations, producing 4*5 black and white images. F-Stop: Can you say more about what you mean by “exformation”? SD: By exformation i mean to say information explosion (overload of information). eg. every day our eyes confront so much of the reality, but how much do we remember? What we remember is information and the rest is exformation. SD: Yes I am. The project is an attempt to explore the sentience of the non-visual. As an exchange of dialogue, the photographs are the philosophy of thoughts and reality connected to their memory and emotion. F-Stop: Do you have a name for this project yet? SD: I have not yet decided the name for my ongoing project. I am still not finished with it. I want to present the work in the form of a book. The approach, idea and technique differs for each of my protagonist/Friend. A series of monologues and their emotional and mental statements all build up the series of photographs as an attempt to imagine the visuals of a non-visual. I look at objects to find emotion as Baruch Spinoza intended to consider human emotions “as if the surfaces of lines, planes or solids”. SD: I am mostly inspired and motivated by Minimal, Bauhaus and Surreal art – Man Ray, Mark Rothko, Wassily Kandinsky, Salvador Dali, Vladimir Kush and many more to name. 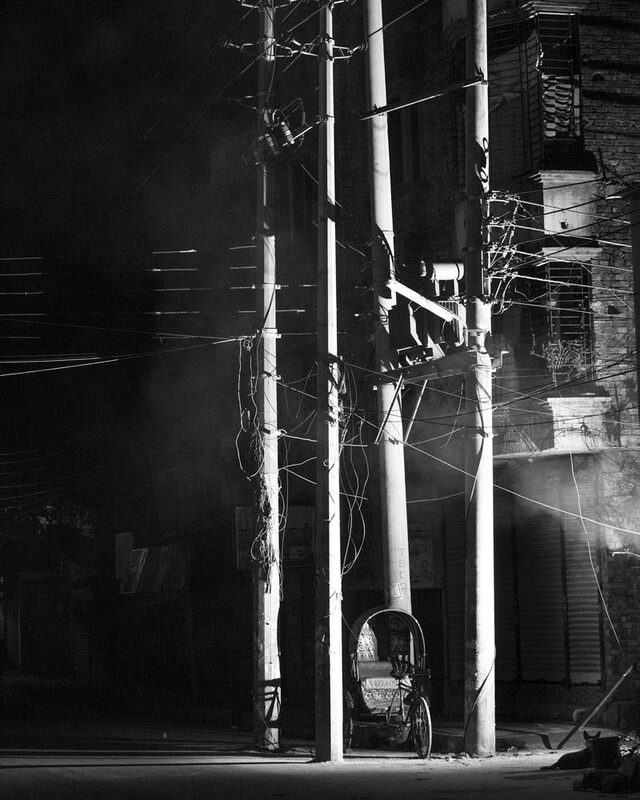 Photographers like Fazal Sheikh, Stephen shore, Josef Koudelka and Trent Parke also energizes me.